Zerodha is a revolutionary discount brokerage firm came with an ultimate and unbelievable brokerage plan and trading tools to come across the barriers in the stockbroking industry. It started its operations from 15th Aug 2010 and now a client base is more than 8+ lakhs. Apart from providing best brokerage plans and trading platform, ZERODHA has introduced a separate platform to invest in direct mutual funds - COIN, giving the convenience of one portfolio across equity, MF, bonds, etc. Zerodha Coin is a platform that let the customer buy mutual funds online, directly from asset management companies. A flat fee of just Rs.50/month will be applicable irrespective of number/value of Mutual Fund transaction across all AMC’s. However, to encourage more retail investors to finance side an extra benefit is also provided like first Rs.25,000 worth of investment is absolutely free without any time limit. Almost 90% of mutual fund investments today happens through regular plans. In regular mutual funds, the distributor gets paid back up to 1.5% upfront and 1% end of every year as trail commission. To give you an example, if you invest using regular plan (assuming a return of 15%), SIP of Rs 5000 for 25 years, the corpus at the end is 1.36 crores. If you do the same through direct, it can be Rs 1.64 crores. Whopping Rs 28 lks more. That is because in regular every year 1% goes away as commission, in direct it doesn’t. Rs 50/month is the cost of subscribing to the direct platform. In the above example, for 25 years you would have paid around Rs 15000 in monthly fees as compared to regular plan where you could have potentially paid up to Rs 28lks. Couple of other players who are offering direct (not with the convenience of demat) charge around Rs 1000 to Rs 2000 yearly with additional transaction charges. Why should one invest Mutual Funds through Zerodha COIN? As we all know and witness, Zerodha is growing from one scale to another, here is one more excellent initiative by Zerodha. Currently, the way to buy direct mutual funds is to visit the AMC/fund house website or office and directly invest. Different portfolios for different AMC’s, getting a common account number (CAN), cumbersome setting up SIP process, generally quite inconvenient. Hence coin. Coin offers to invest in direct mutual funds for free (up to Rs 25,000) with the convenience of being in demat. So single portfolio across stocks, MF ( over 31 AMC’s and 2000 funds), ETF’s, Bonds etc. Easy SIP, start-stop whenever you want without any NACH requirement. Increase or decrease SIP values at will. If you are looking to invest through Zerodha Coin, Please leave your information here and get started. 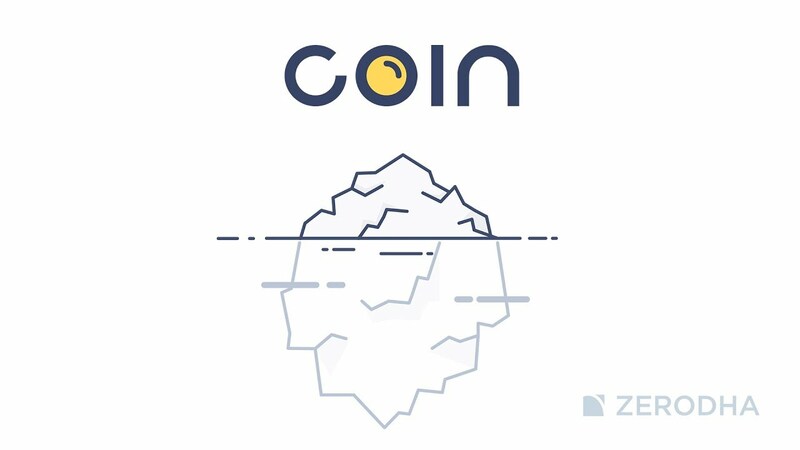 We hope this post on the ‘Zerodha COIN‘ is helpful to the readers. If you have any doubts feel free to comment below.